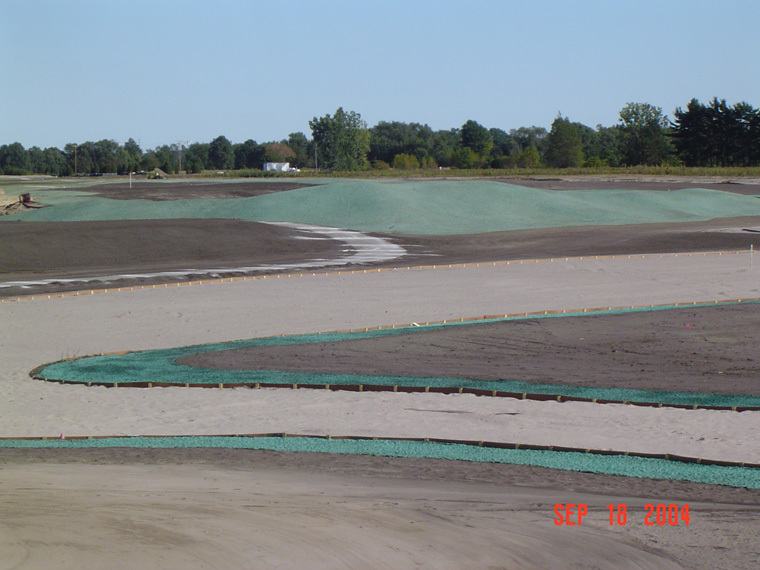 Soil Erosion can occur from wind or rain water runoff and may be an issue for contractors or developers and can result in project delays and costly expenses. 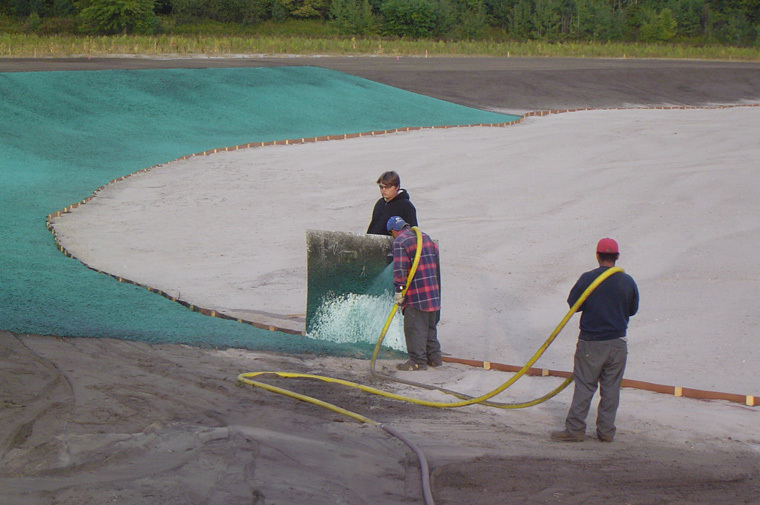 If erosion is a problem on your site we have a cost effective solution, with our hydroseed equipment we can apply a hydromulch application. 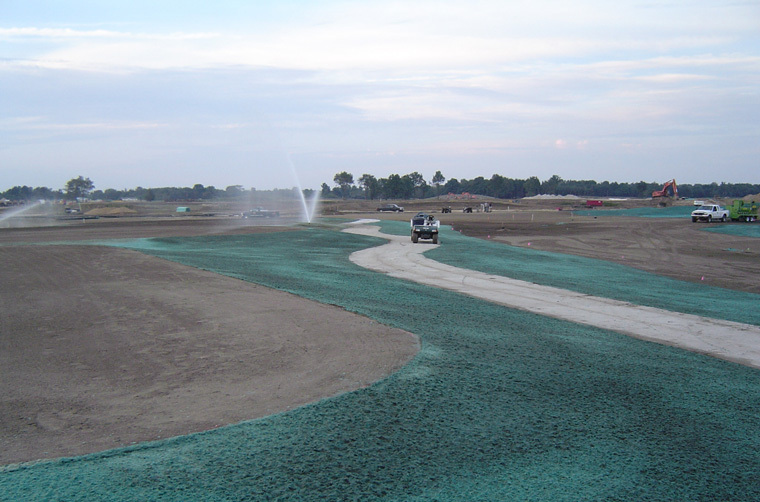 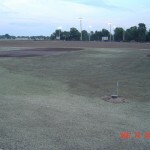 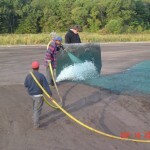 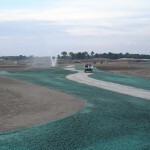 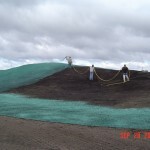 The difference between hydroseeding and hydromulching is the application rate of the mulch being applied. 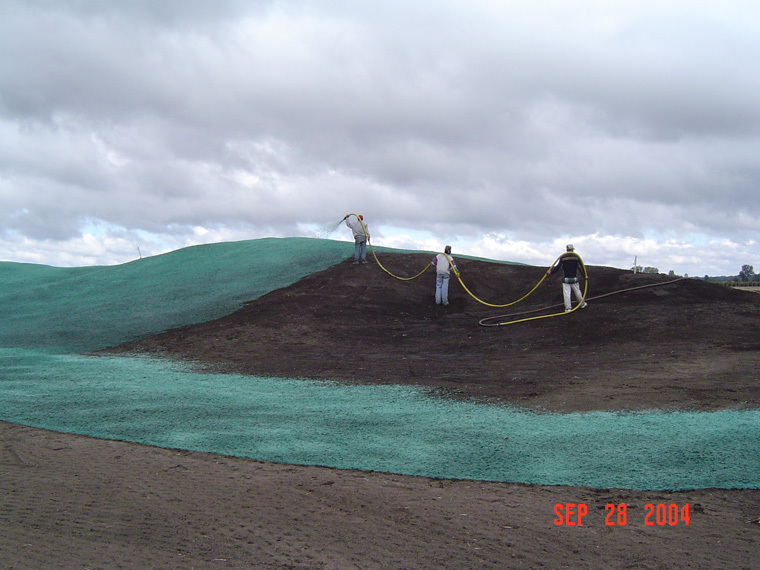 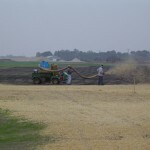 A hydromulch application is applied at a greater rate based on the severity of the slope or area being protected from erosion. 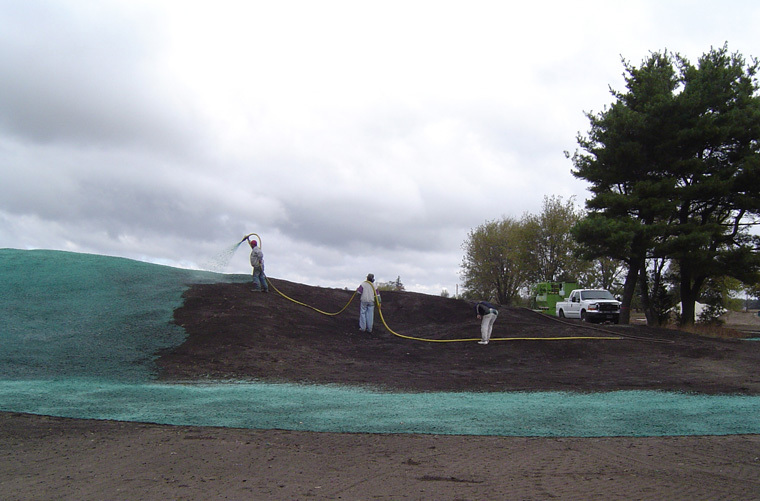 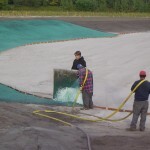 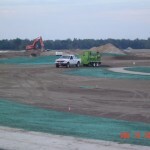 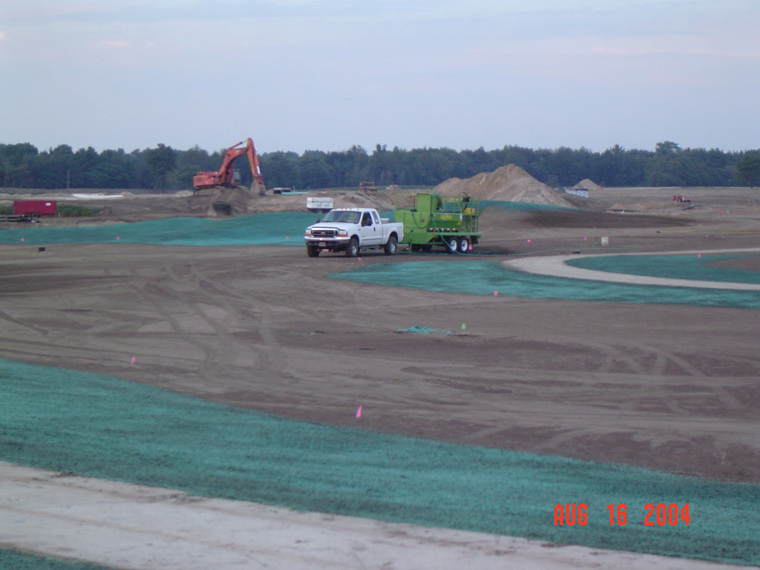 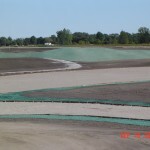 For these applications we use specially formulated mulches, such as Hydro Blanket BFM (Bonded Fiber Matrix) or EcoFlex FGM (Flexible Growth Medium) these one step applications are an effective alternative to erosion blankets or mating. 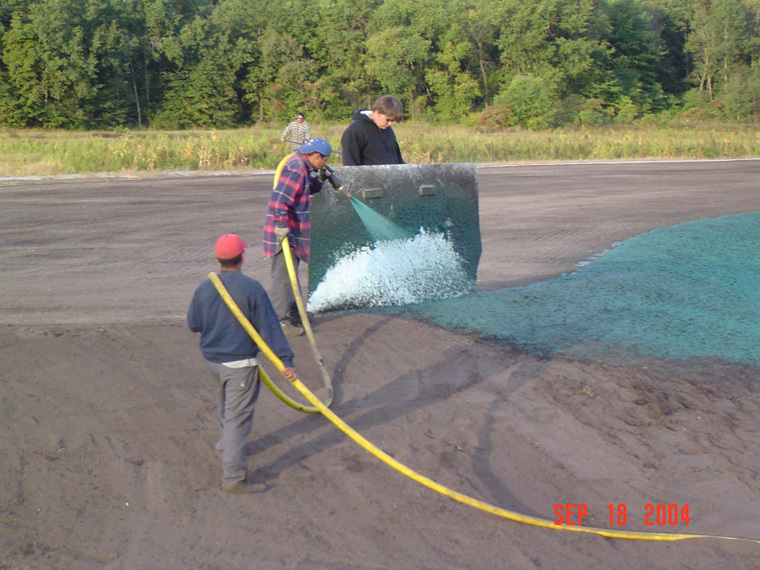 Call us today for more information or to request pricing. 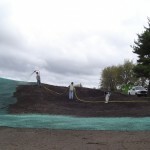 These are some pictures of us applying a hydromulch application at Macatawa Legends Golf Course. 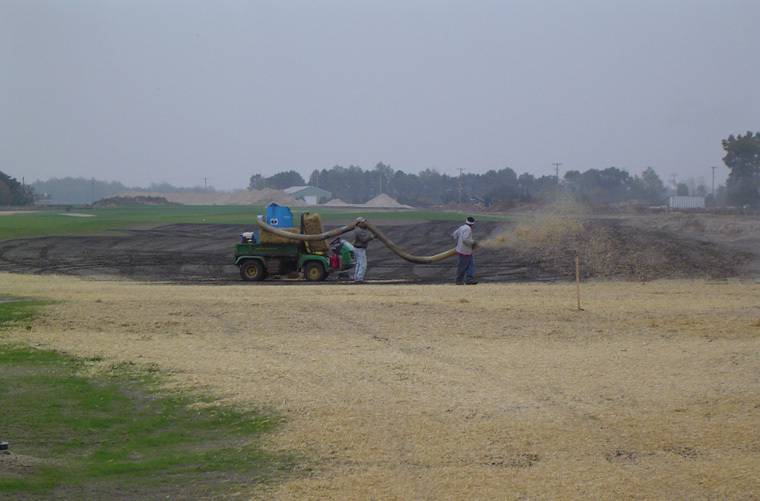 The mulch was applied at 3,500 lbs per acre for erosion control where a normal hydroseed application is applied at 1,800 lbs of mulch per acre. 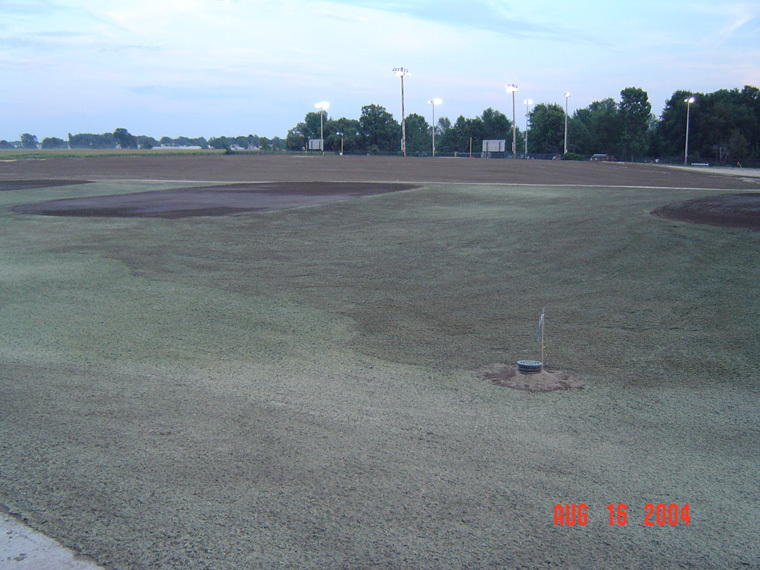 You can see the thick application in the pictures below.